Is it just me or wern't they great? I love how simple they are. I guess the relate to the car. Scanned a few adverts from an old RTA book. Nice Russel! My friend here has tried to find Ami 6 material. When I've finished working on (or burning) my Bamboo this eveing, I'll scan some more of the Ami6 RTA and post up somewhere. get your friend to join! 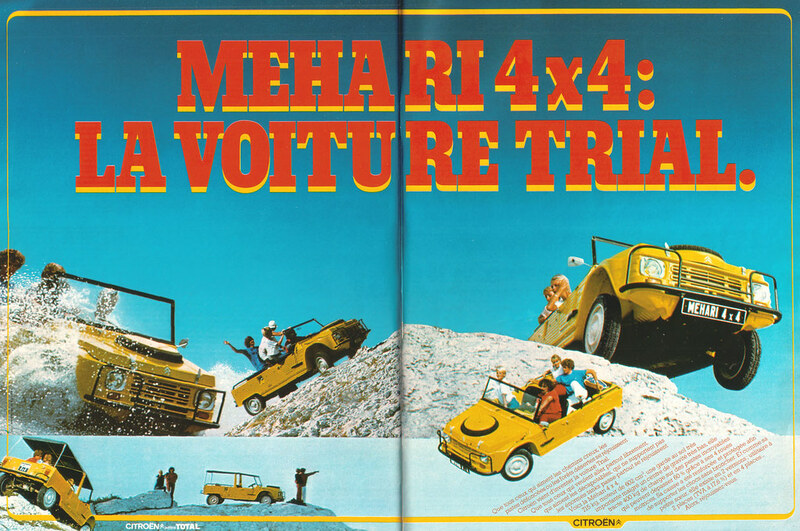 That Mehari 4x4 ad is definitely a challenge... Which is going to happen first? Chassis bend, spaceframe rot, or gearboxes break?